If you are a fan of cycling and live anywhere near California, even if you don't live anywhere near California - go to the tour this year. The race is amassing quite the collection of riders. It was officially announced today that Mark Cavendish is returning to California after an absence of 4 years! 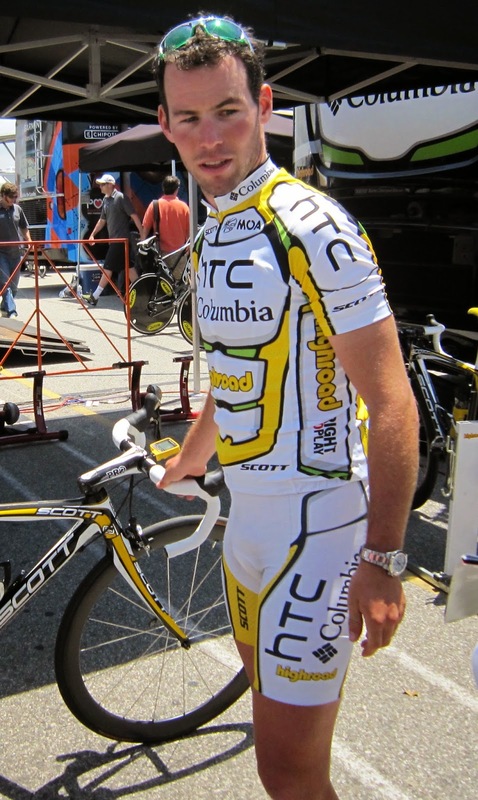 The last time Cavendish raced in California was 2010 when he was wearing that yellow and white Highroad muscle jersey. That's a long time in a cycling fan's world. 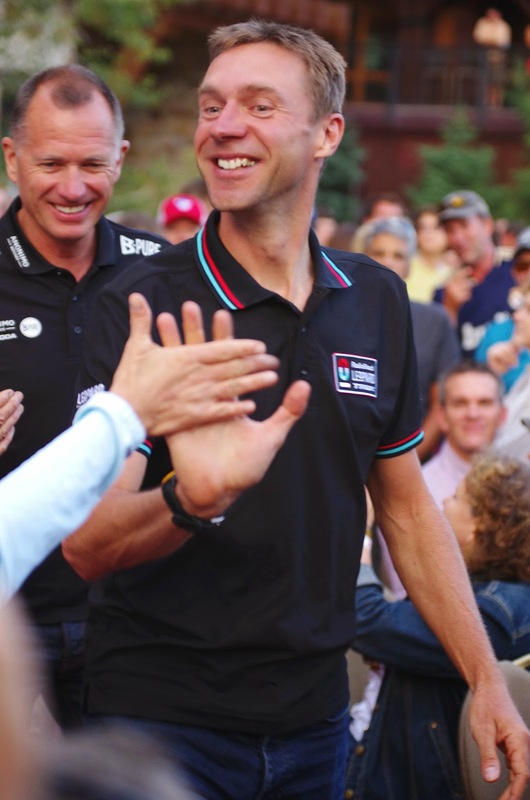 Who else is racing at the Tour of California - oh it only gets better: Peter Sagan, Jens Voigt, Bradley Wiggins, Matthew Busche, Laurens Ten Dam, Lawson Craddock, Joe Dombrowski, Peter Stetina, Christian Knees, John Degenkolb, Ted King, Haimar Zubeldia, Taylor Phinney, Jasper Stuyven, Tom Danielson, Rohan Dennis and more. 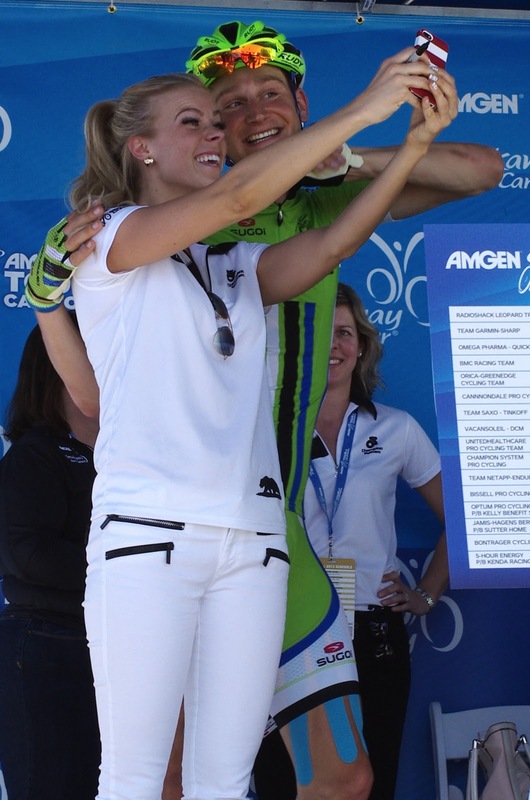 Final rider startlist for ATOC to be released very soon, preliminary startlist by ProCycling Stats. I know, didn't you just read that I was attending the Grande Partenza of the Giro d'Italia in Belfast this year? That is correct, but that won't keep me from returning to California to catch the last three stages of the tour this year. I even got approval for photo credentials, which I am thrilled about. I love love the Tour of California, it's the best holiday of the year. I have already updated and started adding to my annual TOUR OF CALIFORNIA Pedal Dancer Fan Guide Page. More information coming, of course. Want to see some photos from last year? Or do you just want to see a picture of Mark Cavendish in that muscle jersey? 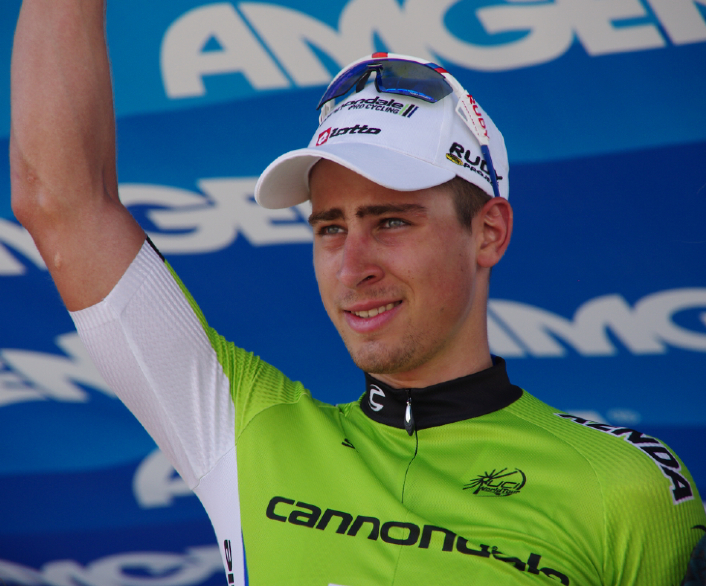 Come on, we can't talk Amgen Tour of California without a photo of Peter Sagan - he is like the Grand Marshall of the race. But Mark Cavendish is returning to the golden state to challenge this young wheelie popping sprinter. 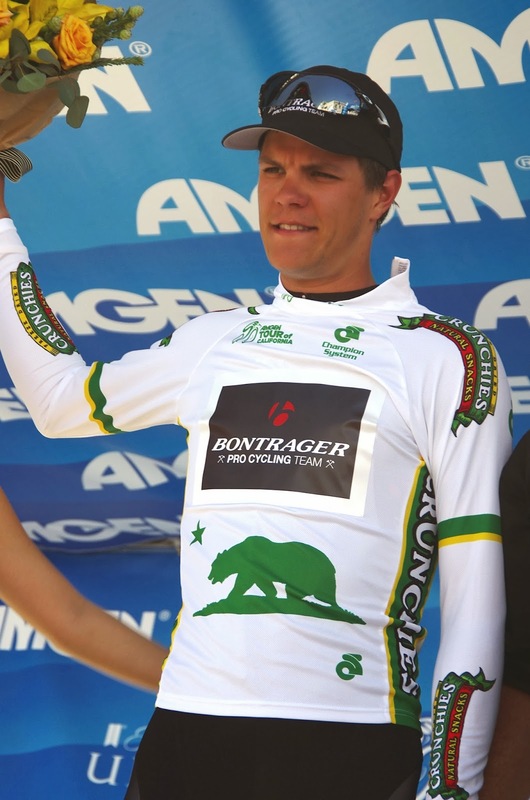 One of my favorites - Jasper Stuyven, now on the Trek team, will be returning to California. Who are your favorites, chances are good they will be racing in California 21 days from today. Of course any rider racing in the Giro will not be in California, preliminary startlist for the 2014 Giro d'Italia by ProCycling Stats. Read more about the race at TOUR OF CALIFORNIA or on the official website http://www.amgentourofcalifornia.com.